We're not happy until our clients are. Rather than us bore you with all the great things we can do for you, why don't you read what Evans Lee clients say about us? Read our customer reviews from happy house sellers, happy landlords, happy home buyers and happy tenants. "We have recently sold our property with Evans Lee estate agents and the service was first class from start to finish. The photographs were of the highest quality, the interaction between ourselves and the agent was superb and the whole process was professional and very much stress-free. " "Evans Lee sold our house in summer last year. From start to finish, the service from Evans Lee was fantastic. Simon went all out for us during the final weeks of our sale. The team are friendly, approachable, and get the job done! Thanks, Evans Lee! " "My siblings and I had to sell my mother's house...Simon and his team were hugely understanding and compassionate. Efficient, thorough and always friendly: nothing was ever a problem. We sold for over the asking price after having three offers. No hesitation in recommending Evans Lee...They know the market and understand the individual needs of sellers. " "Hugely impressed. They provided a top notch professional service from start to finish. Simon was spot on with the valuation and ensured that the whole sales process ran smoothly and without a hitch. Evans Lee clearly has a good reputation as we had a number of people coming to look round. I would thoroughly recommend Evans Lee! Thanks Simon! " "Thanks to Simon for helping me to buy my first property! He was always helpful, as were others in the office. He helped us to feel confident throughout. Thanks to them for helping it run smoothly and efficiently without any bother! " "Communication and positive support...made the difference. Simon was quick, responsive, no-nonsense and very helpful - not just in the sales process up front but to the end. He just got the job done and couldn't do enough for us during a busy time for our family. One meeting, a few documents and the house sale was agreed in a week for the price we wanted." "From day one Simon, Amy, Diane and the rest of the team have been great. I couldn't have asked for a better service from them. I would hand on heart recommend Evans Lee to anyone. If you are looking for an excellent estate agent these are the people to go for! " "Simon Lee and his team at Evans Lee offer a boutique tailored service unlike any other. Sales often get complicated and mine did, but Simon's professionalism and expertise meant that I never had to worry. I recommend him to anyone who wants to be completely taken care of via a top class service. Nothing is too much trouble for these guys. " "Great estate agent - Simon and the team sold our house in 3 days! Professional, friendly and helpful service - helped the whole process run smoothly. Fully recommended! " "First-rate service. Simon stood out for the honest and straightforward way in which he managed the entire process, from initial offer through to completion. I've bought and sold various properties over the past 15 years, and this was far and away the smoothest and most hassle-free of the lot, thanks to Simon and the team at Evans Lee. " "I can only describe the service at Evans Lee as incredibly professional. No matter how large or small the problem is, it is dealt with expeditiously and efficiently. I would not hesitate to recommend Evans Lee. " "I asked these guys to sell my house as quickly as possible and for as much money as possible and that's exactly what they did. Simon knows what he's talking about and his advice is excellent. Thanks. " 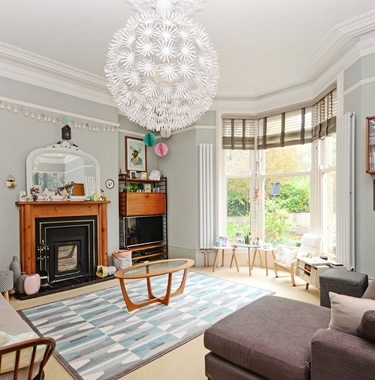 "I am very happy that we chose Simon to sell our large house in Broomhill. He is fun but professional to deal with and has the energy and 24/7 commitment that I admire. I enjoyed our experience and think we achieved a much better deal than we would otherwise have done." "I work alongside Evans Lee as a supplier and therefore you would assume that any recommendation would be biased, this is not the case. I would genuinely recommend their service. If you want personal service with a professional can-do attitude approach then look no further. " "I am so impressed with the service I have received from Evans Lee. I could not have hoped for a more professional yet personal approach to the sale of my property. Simon, Amy and the rest of the team really know the business and have the energy and commitment needed in this competitive industry. " "We went to Evans Lee having been with another estate agent for 5 months & our property wasn't going anywhere. Went to Evans Lee & the property was sold within 3 days. Evans Lee was a very good company to sell with. Kept us informed all the time, excellent customer service & would highly recommend them to anyone. 5 star service. " "I found every member of the Evans Lee team committed, helpful and attentive at all times. Our sale was not straightforward to say the least but Simon and Amy did a fantastic job of keeping the sale on track. They are genuine professionals in their field and I would recommended them to anyone. " "Simon and Amy are absolute stars. 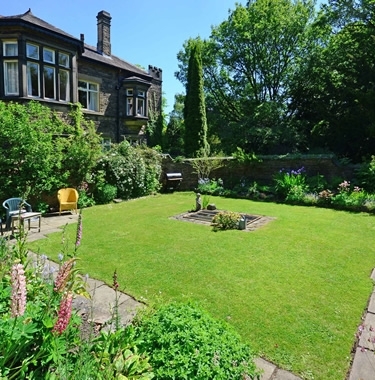 Simon handled a property we were selling in Ecclesall as we were moving out of the area. The house...commanded a very high price tag. Simon arranged to conduct the viewings on Friday and the house was sold the following day far in excess of the asking price! The standard of service and professionalism was superb. " "Evans Lee found a buyer for our house in less than a week. It went on the market on Friday and we accepted an offer on Tuesday.It sold for more than the asking price...we were kept informed all the way through the sale process. Evans Lee provided excellent service. " "Absolutely fantastic and reliable service from Evans Lee, fulfilled all promises which lead to an efficient sale of our property. Would definitely use Evans Lee again...on that basis we would highly recommend them. Professional and efficient in a friendly and personal manner! " "Great service and a great team. 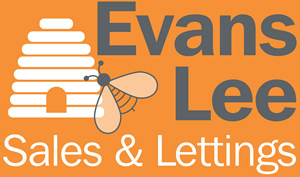 We have used Evans Lee to both sell and rent out our properties for us and we wouldn't go anywhere else. Thank you. " "Simon and the team did everything they said they would... and quickly... we would use them again in a heart beat!" "I sold 3 properties through Evans Lee in a nine-month period. The first property sold in 4 days and the others within 2 weeks. I have absolutely no reservations in recommending the services of Evans Lee and would unquestioningly use them again. " "A big pat on the back for all the team!! A thorough professional but friendly service from start to finish from initial valuation to accepting a offer all within 7 days, and above the asking price! !,what more can you ask for." "Great professional service. They took on our property after 2 failed sales with another agent and managed the process from beginning to end delivering the result we were after! " "I cannot thank Amy and Simon enough for the professional way they handled the sale of my house. Organising the viewings and keeping contact with the buyers while my solicitor appeared to be dragging his feet." "I was struggling to sell my property in Sheffield, but a friend recommended Evans Lee and within a month I had a buyer! Great service and professional to the end." "Fantastic, friendly and professional service. Only had my property on the market for 1 day before selling it!!" "Having sold our flat and bought a house through Evans Lee we dealt with them a great deal. Through both sales we found the family-run company to be helpful, professional and always at hand to answer our queries and chase things up. " "Simon and the entire team at Evans Lee were absolutely brilliant during our move. They were always pleasant, friendly and very proactive in ensuring everything went smoothly; nothing ever seemed too much trouble, and they always replied to queries straight away. " "Very helpful, always kept us in the loop of things and always responded efficiently to any queries we had. Everything was always done in a professional manner and made our experience as first-time buyers a little less stressful. " "Terrific service in facilitating our first house purchase in Sheffield. Communications always timely and clear, making the whole transition completely pain free, swift, and very reassuring throughout the process. 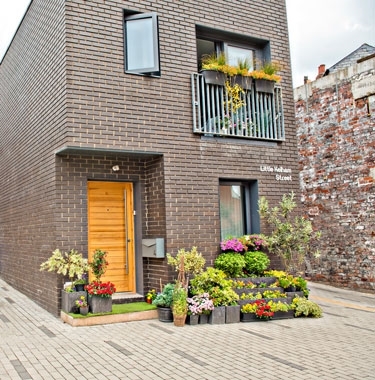 Highly recommended in every regard by this happy new home-owner." "Evans Lee sold my property and I bought a property from them. They offer a unique and personal service that is very different to experiences I have had in the past. The whole team are friendly and efficient, always there to answer your calls and questions no matter what day or time it is. I would recommend them to everyone. Thank you! " "Simon is a breath of fresh air. No nonsense, to the point and straightforward in my dealings with him, I found him a refreshing change to some of those I have dealt with in previous house purchases and sales. The process of buying a house with Evans Lee was clear and to the point." "Simon/Amy handled my daughter's first house purchase in a very personal and professional way. I recommend Evans Lee to anyone purchasing a property in the Sheffield area - their personal touch makes all the difference to the whole house purchasing experience. " "Extremely positive – clear and consistent communication throughout and the EL team are extremely knowledgeable about the specifics of the area and the property for sale here. I’ve been able to recommend EL to two sets of friends. It’s the no-nonsense approach, with the personal touch, that makes EL a great business to work with. " "Fantastic service provided by these guys, we found them to be very accommodating and professional, they made the whole experience of getting a new property hassle and stress-free. I highly recommend this company." "So helpful and efficient, I was in my lovely house very quickly, thank you!" "Since buying a house through Evans Lee, Simon has been very helpful with after sales queries, he’s relaxed and personable which really helps in the stressful house buying process." "I bought and sold with Evans Lee. I sold my house within a week. Simon kept me in touch with both my sellers and buyers throughout and helped me with the little quirks and problems that arose along the way. I am in my lovely cottage. Couldn't recommend them enough." "This is an excellent friendly local estate agent. Simon knows his territory inside out and was extremely patient as a long chain held us up for many months before I finally moved." "An extremely friendly and efficient service, where nothing was too much, I would recommend Evans Lee to anyone wanting to buy, sell or let." "Evans Lee are always informed, positive, professional, friendly and helpful, everything you would want from a modern Estate Agent." "Having used Evans Lee to sell our house, we had no hesitation in using their services to find suitable tenants for our rental property. As always they were on the ball and found a suitable tenant virtually straight away. All checks were carried out and everything ran smoothly and efficiently." "Stand out from the rest for providing an excellent sales and lettings service and have handled our residential property letting for the past 4 years. In today's world of something for nothing, they offer the complete opposite - a warm, friendly and efficient approach to estate agency. They understand you and your best interests. " "Simon and the team are simply the best - great attitude, fresh approach, fantastic customer service and invaluable advice. The personal service alone puts them in a very special league of their own in the world of lettings and property services. 10/10." "Evans Lee have delivered a first class service to me for over 3 years. I would highly recommend them to anyone. They provide a quality, friendly & quick service securing for me a new long term tenant within a few days !!" "Helpful, quick and efficient service. Sorted out a new tenant for me in a matter of hours from me initial phone call. Paperwork all in place a few days later. Can’t fault them." "I would have torn my hair out long ago without Simon's sensible but amusing take on life in general and the business of buying and selling houses in particular. Above and beyond the call of duty. We have used Evans Lee to sell a house and to rent an apartment. All the team are great to deal with - straightforward and no-nonsense. " "The team at Evans Lee did an excellent job in renting my property out in Nethergreen, Sheffield. Unlike some other agents, I found them very approachable, always available and nothing whatsoever being a problem. Would definitely recommend and will use them again. Many thanks. " "Tremendous efficient service from the very driven Evans Lee team meant that the property was let within hours of releasing it into the market! The after-service was very re-assuringly first class. Communication was efficient and initiated without having to chase. " "Excellent Service! Within 1 week of looking to rent out our house, we had a tenant in! Friendly, professional and exactly what we were looking for. A quick and stress-free sale! Would highly recommend Evans Lee." "Simon Lee and his team provide a very personal, trustworthy service with many years experience of the local property market. I have purchased and let a number of properties through them and would highly recommend them." "Love the guys and girls at Evans Lee, a true family business where they take responsibility for all aspects of their work. Every member of the team is experienced and fun. I have recommend their services to about 7 of my friends and everyone has been very grateful." 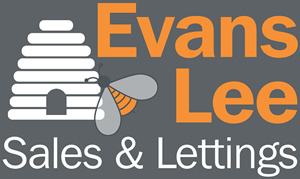 "Since Evans Lee opened on Oakbrook Rd I have used them for all of my property company's residential lettings in the locality, and will continue to do so. They are professional, efficient and very friendly, I would have no hesitation in recommending them." "Nothing but great things to say about Evans Lee both on a professional and personal basis. Our dealings with them as an agent have been professional, efficient and successful and day to day contact with all the staff in the office has been a pleasure. Down to earth, honest service from genuine people who take pride in their business." "The first review I have ever written...due to the first class service I have been given. A rental property I have became vacant and within 24 hours of the property being advertised Amy had shown a prospective tenant around, then seamlessly took an application from her. She then kept me updated...and the tenant is now due to move in. " "We have used Evans Lee over the last two years. They have been professional, friendly and provided an excellent service. Thanks to Simon and Amy. " "Incredibly professional and approachable. On many occasions, they went above and beyond. Responded to communication incredibly swiftly. Without them our start in Sheffield would have been very difficult and for this I cannot recommend them enough." "Hard working estate agents who are available outside normal working hours to get you into the property you want as soon as possible. Low agent fees and friendly staff add the human touch to renting a property. I'd recommend them." "Efficient and professional. They work super fast. Very friendly staff. Definitely recommend." "We had a terrific experience with Evans Lee. Always friendly and reliable... it was so nice to have a letting agency we could deal with who were local and personable. Certainly not like the big, impersonal companies we'd dealt with in the past." "I've had some awful experiences with letting agents in the past but can honestly say that this place is completely different! Communication was quick and thorough, they were polite and flexible and unlike most letting agents they haven't forgotten the importance of customer service."